InspecTips is our new Self-Help location with tips for maintaining your home. We will be adding new ideas each month and we encourage you to visit our website to locate new things you can do to maintain your home. AGENTS: Are you a Real Estate Agent and have a monthly newsletter you farm your area with? Are you intersted in having content for your newsletter? Please register with us via our contact form and we can send you directions for including InspecTips for your marketing. Having been a home inspector for over 17 years, I come across a common findings I term as “root of all evils” This is referring to water, something we need to live but yet causes the most damage in your home. I recommend having a good look around your home for things that might cause water to come in before the winter season hits us. Some great places to look at are your Grading (dirt) Do you have dirt too high or a planter against your structure? 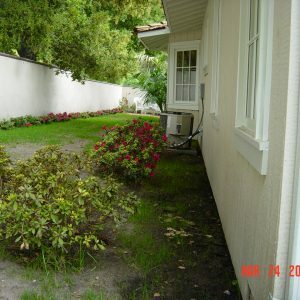 Does your dirt around the house slope towards the house? Think like water, could it be a problem? Make the changes before they get ya! 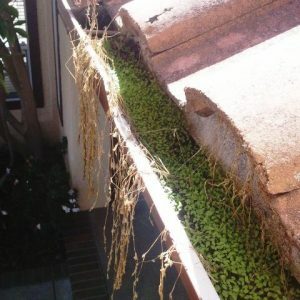 How are your gutters? Have you cleaned them, make sure with all the fall leaves doing their thing that you clean those gutters before it’s too late and the “root of all evils” just cascades right to your house. The Best Investment you can make in your home! Gutters and Downspouts: If you have been following our tips, we told you earlier that the “Root of all Evils” seemed to always lead to water when it comes to residential problems. Controlling that water is one of the best things you can do to help control problems from happening by directing water away from your structure. With the fall having dropped likely some leaves, now is a good time to check your gutters and make sure they are clean and ready to do their job.